Sian has over 25 years’ experience working in schools in the East Midlands region. Sian has been active in school leadership for over 15 years and is a designated National Leader of Education. Sian has overseen the development of the Trust from one school to six including opening a new primary school and a SCITT. In less than three years the sponsored school in the Multi Academy Trust has moved from Special Measures to Good and there are plans for two free schools and more primary schools to join this growing MAT. Rick has over 27 years’ experience supporting families with children with special educational needs in the secondary mainstream setting. He has a wide-ranging local, national and international experience and perspective on the field of special education. He gained a Master’s in Special Education from Leicester University. Rick is responsible for SEN provision across all the academies within the Trust, which includes strategic direction and development, teaching and learning and maintaining high quality outcomes for our SEN students. His expertise in SEN co-ordination has been demonstrated by positive feedback from teaching staff, fellow professionals, Ofsted, parents and students themselves. He has a strong practical background working in schools across Nottingham. He loves being in the classroom and seeing students explore and excel. He has extensive experience of developing effective systems of support across schools and developing specialist knowledge and provision. He has developed extensive links within education and special needs agencies across Nottingham and is regularly invited to meet with groups to offer advice and support at policy level. His work in schools has been the focus of articles in ‘Special Children Magazine’ and he has delivered training at the SSAT 2014 Achievement Show in London around meeting the needs of ASD students in the secondary environment. Rick continues to work closely with research projects based at the universities of Nottingham. He has been a member of NASEN for over 20 years. Steve is Vice Principal of Bluecoat Wollaton. He has worked in secondary education in and around Nottingham for 24 years. His role is to oversee all aspects of quality assurance including self-evaluation, improvement planning, appraisal of teaching staff and monitoring of standards. Steve is an experienced senior leader who has delivered at national conferences for SSAT and GL Assessment. He has delivered many inset training sessions both at local and Trust-wide levels and is an expert in self-assessment, peer to peer review, the use of data, improvement planning and curriculum planning. Steve is an analytical problem-solver who delivers workable solutions and processes. Rachael joined the Trust as a MAT Assistant Principal in January 2015 and has led the English teams across the Trust to significantly improved outcomes. 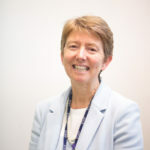 She is responsible for English provision across all the academies within the Trust, which includes improving the delivery of the curriculum and leading on significant government-driven changes. Rachael’s role extends to leading literacy within the Trust. She leads a team of co-ordinators within each academy to strategically manage this Trust-wide priority. Improving literacy plays a key role in the MAT’s vision to build better learners and lies at the heart of our focused CPD programme. Lisa joined Bluecoat Academy in 2003, with a subject background of ICT and Business Studies. She has led a Faculty showing rapid improvements in outcomes. In addition she is an accredited Advanced Skills Teacher. Lisa is a Senior Leader of Education and has been closely involved in Initial Teacher Training projects, including the initial start-up of the SCITT. Lisa has sat on national advisory boards. Lisa is passionate about improving teaching and learning and has worked on several projects including the creation of an innovative CPD programme and looking at robust measures to improve teaching and learning. She has experience in setting up peer coaching programmes and collaborative learning partnerships. Lee joined us in 2015, bringing a wealth of experience in the leadership of behaviour and support within mainstream and alternative education. After working within behaviour teams across inner-city Leicester, Lee became a senior leader in an independent alternative behaviour provision for pupils diagnosed with ADHD. Lee is an expert in creating effective techniques and practices in order to get the very best outcome from hard to reach pupils. Lee has a track record of being a Senior Behaviour Manager in Leicester, overseeing the pastoral structure of an all-through academy. During this period Lee oversaw and implemented the change and leadership across three key stages improving staffing, whole school support, rewards and sanctions alongside the introduction of the school’s in-house alternative curriculum unit. While Lee held this the post the school’s Ofsted judgement in behaviour and safety improved from Inadequate to Good. Lee’s core beliefs are that every student deserves the very best opportunity to have an education that suits their individual needs. Lee believes that understanding students’ needs, having high expectations and nurturing staff leadership in all areas, is key to success. Lee works across the Trust to build and maintain a successful inclusive approach to students’ education. Cherry has worked at Bluecoat Academy since January 2002. She is a full-time English teacher across Key Stages 3-5 and is Subject Leader for A Level English Literature. Cherry is the Trust’s EAL Co-ordinator and within this role she has developed a whole staff approach to improving the progress and attainment of students who have English as an additional language. Cherry and her team continue to build on EAL teaching and learning provision, personalised intervention and professional development. This approach has led to improved outcomes for all EAL learners across the Trust. Cherry has a track record of providing outstanding facilities for young people who have English as an additional language. She has a passion for teaching and enjoys working with the diverse range of young people within the Trust as well as its dedicated staff. Rich is the Head of Sixth Form and Vice Principal based at Bluecoat Academy Aspley. He has overseen a period of sustained growth in student numbers; the Sixth Form has nearly doubled in size in recent years, with nearly 500 learners now on roll. This period has also seen sustained improvements in both attainment and progress measures, with the Sixth Form achieving significantly positive value added scores on all qualification types. Rich is passionate about raising aspirations and ensuring all students achieve to their full potential, with clear routes of progression. He has overseen a significant increase in the number of students successfully taking up places at Oxbridge, Russell group institutions and on other competitive entry courses. Victoria joined the Trust in 2014, having worked in schools across the city since 2003, primarily in the strategic and operational management of Safeguarding, Welfare and Attendance. She is one of Nottingham City’s Advanced Designated Safeguarding Leads (ADSLs), working with colleagues across the city to support Safeguarding in Schools. Victoria’s specialisms include compliancy in the areas of procedure and policy, embedding a Culture of Vigilance through training, curriculum and interagency working. Her qualifications include National Programme for Specialist Leaders of Behaviour and Attendance, Managing Families with Multiple and Complex Needs as well as the statutory certification for Safeguarding Leads. Victoria is passionate about supporting families and keeping children safe. Vic believes that robust and clear policy and procedure is the vehicle to achieve this in every school. Matilde joined the Trust as MAT Assistant Principal in September 2016. The former East Midlands West Maths Hub lead has brought a wealth of up-to-date knowledge and expertise to the mathematics teams across the Trust. 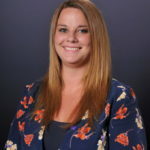 Well-researched in curriculum design, she has written comprehensive schemes of work and related assessments to cover the three principles of the new curriculum: fluency, reasoning and problem-solving. As well as providing in-house training in Teaching and Learning for the New Curriculum, she ensures that the mathematics departments access and are involved with the latest research available. 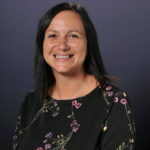 Matilde has led nationally on lesson study and collaborative lesson research and leads the East Midlands regional Subject Leader Network at Nottingham University.